Well – being = The quality of people’s experience of their lives. The state of being happy, healthy, or prosperous. Here we have explanation how to live well. 1. Increase health awareness. 2. 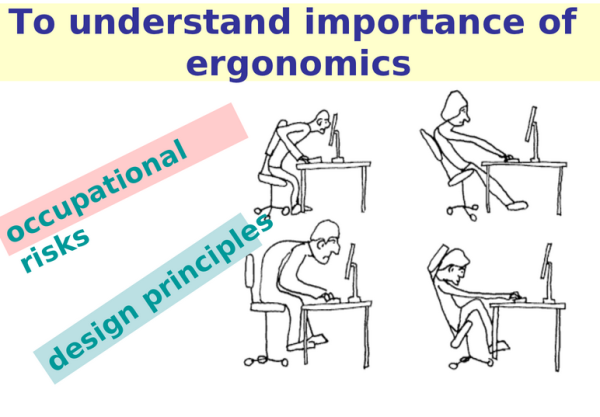 To understand the importance of ergonomics design principles and occupational risks. 3. To maintain or improve posture to keep your back and spine healthy. 4. Assessing one’s weight and health risks ( risk of life style related diseases). 5. To understand the importance of hydration and therefore design a comfortable work place. Since we have to begin at some stage and learn how to go about, we start by making following compartments. What Is Ergonomics ???? Ergonomics is the science of designing the job. equipment, and workplace to fit the worker. Poor ergonomics leads to musculoskeletal injuries. 1. Regular exercise 2. Good diet. 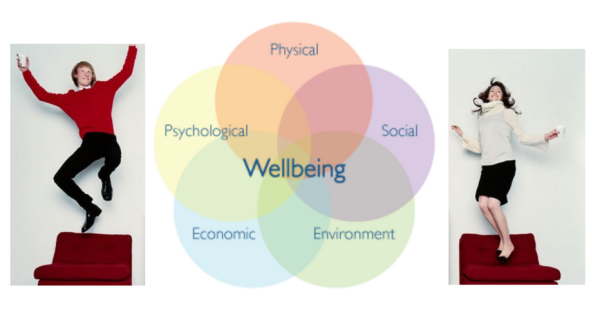 There are 7 aspects of wellness. 1. Mental fitness. 2. Physical fitness 3.Financial Fitness. 4. Spiritual Fitness. 5. Family and relationship fitness 6.Career Fitness. 7.Social Fitness. 20-30 yrs: Awareness in ergonomics, diet, exercise, simple check ups. 30-45 Precautions of ergonomics, diet, exercises, simple check ups. 46-60 Time for action to ergonomics, diet. simple check ups. 60 plus : Consistent in ergonomics diet, exercise, simple check ups. Major concerns of Life: 1. Lack of time 2.Sedentary life style. 3. Work Pressure. 4 Family commitments. 5. Afraid of simple medical checkups 6. Lack of exercise. 7. Lack of proper diet. What it leads to: 1. Stress. 2. Weight gain. 3. Musculoskeltal problems 4. Major medical risks. 5. Obesity, 6. Diabetes, Hypertension, High cholesterol.7. Inadequate hydration. 8. Low productivity. Simple precautions: 1.Walking 2. Cycling. 3. Stretching. 4. Simple exercises in the Gym.5. Meditation. 6. Regular simple checkups. 7. Proper diet. How can we treat it. Here. women part in everybody’s life is the most important for well being of all. We must work together to bring wellness in their lives.